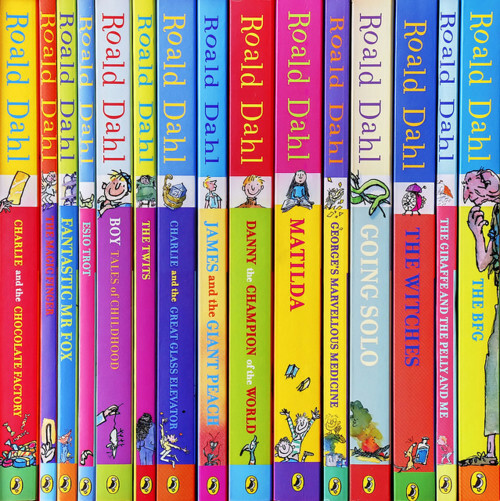 How to create an educational ‘Roald Dahl day’ with your kids! Do you wish you could encourage your children to spend time less time playing computer games and more time reading or playing outside? The key is to set out a specific time when they can play the Playstation, treat it almost as reward for completing homework or for reading a few pages of a book. It definitely shouldn’t be the first thing they do when they get home from school! In order to combat computer addiction we recommend planning a themed day based on a popular novel, it will make for a fun and educational Sunday afternoon! 1. Matilda visits the library regularly to find new books to read. Visit your local library and see what services it offers. Why not make poster to advertise the library? 2. Matilda reads ‘The Secret Garden’, ‘Great Expectations’ and many other famous books. Ask your kids to find out more about these stories and their authors. 3. Matilda’s friend, Fred, has a pet parrot which he lends to her. Encourage your kids to make a ‘guide’ to teach people how to look after a parrot (or another pet), a good idea if you’re thinking about getting a family pet too! 4. Can they write about their favourite teacher (like Miss Honey)? 5. Matilda reads a limerick out loud to her class. Find out how about limericks, explore different examples and try to write one with your children. 6. Ask your kids to write out a recipe for the chocolate cake that Bruce Bogtrotter was forced to eat in front of the school. Then make it! 7. Nigel uses a mnemonic to remind him how to spell ‘difficulty’. Can you think of other tricks to help you spell complicated words that you could teach your kids? 8. In the chapter ‘Miss Honey’s Cottage’, there are lots of complicated words (e.g., mysterious, phenomenon, precocious, self-consciousness). Encourage your children to look them up in the dictionary as you’re reading the book with them. 9. Encourage your children to listen to the audiobook version of the story. Can they retell the story to you?